And no sign of any forthcoming babies to rock in ol’ Georgebury, Vermont. For Callie Grey, turning thirty means coming to grips with the fact that her boss (and five-week fling) is way overdue in his marriage proposal. And way off track, because Mark has suddenly announced his engagement to the company’s new Miss Perfect. If that isn’t bad enough, her mom decides to throw her a 3-0 birthday bash in the family funeral home. I wanted to read this book so much, and when I received it through NetGalley I was very excited. Jason is the protagonist. He spent his day at school, then comes back straight to his house, to take care of his mentally ill father. 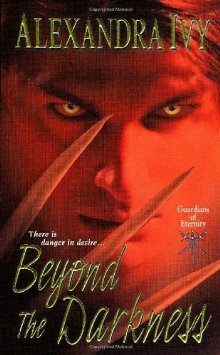 His mother is dead, and nobody has to know about his father, because they will take him, and Jason will be placed for adoption. So it doesn't matter to him that he has to take care of his father, sell almost every item in his house to get food and medicine, and that they live without heat. Jason is amazing, one of my favorite male characters of all time. He's just like any 15 years old boy, but he has so much responsibilities. He loves his parents, and his mind is awesome. He doesn't have friends, except the ones that live in his head and talk only to him. But that doesn't mean he is crazy, right? Right? Desperation, love, fear, anger. Jason has to deal with this everyday, but when he finally made some real friends, in a way, it becomes easier. Wow, I loved this book. Couldn't stop reading it!. This is a very powerful book, and I cried a lot while reading it because it's exactly as real life is: very unfair. Very intense, but also funny, between a bunch of imaginary friends, real teenagers friends, and a crazy person, you can imagine! Excellent writing. It grabbed me from the first line. It's not usual to start a book with the protagonist inviting you to his life, like a talk show. Very original. Really, you must read Crazy. I recommend it to everyone! Teenagers and adults. Believe me, you will like it, and you will learn a few things. More about this book at hannolan.com, Goodreads, Amazon, The Book Depository. 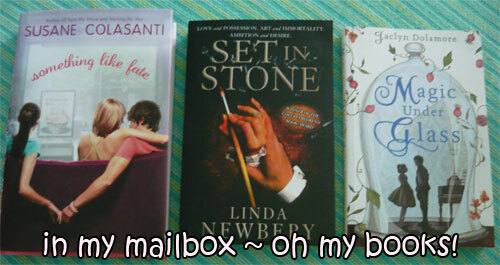 From Sonia Gensler --- Set In Stone by Linda Newbery & Magic Under Glass (Magic Under #1) by Jaclyn Dolamore. Which one do you recommend me to read first? It's the end of junior year, and summer is about to begin. The Summer of Passion, to be exact, when Jory Michaels plans to explore all the possibilities of the future - and, with any luck, score a boyfriend in the process. But Jory has a problem. A big problem. A curvy, honking, bumpy, problem in the form of her Super Schnozz, the one thing standing between Jory and happiness. And now, with the Summer of Passion stretched before her like an open road, she's determined for Super Schnozz to disappear. Jory takes a job delivering wedding cakes to save up for a nose job at the end of the summer; she even keeps a book filled with magazine cutouts of perfect noses to show the doctor. But nothing is ever easy for accident-prone Jory - and before she knows it, her Summer of Passion falls apart faster than the delivery van she crashes. In her hilarious and heartbreaking debut novel, Sydney Salter delivers a story about broadening your horizons, accepting yourself, and finding love right under your nose. I like strong women as protagonists, so maybe that's why I didn't connected with Jory. She is very self-conscious and self-doubting, and her big nose is just one of the things she hates about herself. She is very clumsy and her family seems to ignore her because she can't make anything right. Her nose problem seemed so insignificant to me, but Jory takes it very seriously. She thinks its because of her nose that she doesn't have a boyfriend, and she is saving money for her nose job. But why does she thinks like that? Nobody criticizes her nose, except her mother. She just seemed to be very superficial, and I didn't like it, because if there is something I hate in this world, its superficial - people. Also, I didn't liked her friends, Hannah and Meghan. They do stupid stuff, also are superficial, and choose boys over friendship. Really, I don't understand why Jory is still friends with them! I didn't like the way they threated her, and I kept waiting for her to find better friends. I couldn't stand Meghan, who thinks she is soo superior. She would have been better with more supportive friends. Anyway, I know every teenager girl wants to have a boyfriend, but there where so many boys in this book! I didn't knew which one was going to stay: maybe super cute Tyler, or Tom, or Gideon. At least I liked Gideon, he was very cool with his band, but making jewelry and wanting to "wait" just didn't seem to me like real boy stuff. Sadly, this book didn't grab me at the beginning. I had to read a few chapters before getting really interested on what was going on. It was in the middle that I didn't wanted to stop reading, and I must say, there are a few surprises in this book I wasn't expecting, but liked them. The end was very sentimental. I thought it was a light reading, but in the end it became very intense. Body issues are very important, specially in teenagers, and if you have a supportive family and friends, its easier to accept yourself just as you are. 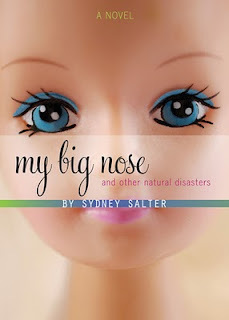 Overall, if you are looking for a summer romance story, you should read My Big Nose and Other Natural Disasters. More about this book at www.sydneysalter.com, Goodreads, Amazon, The Book Depository. I recieved this book through International Book Tours. 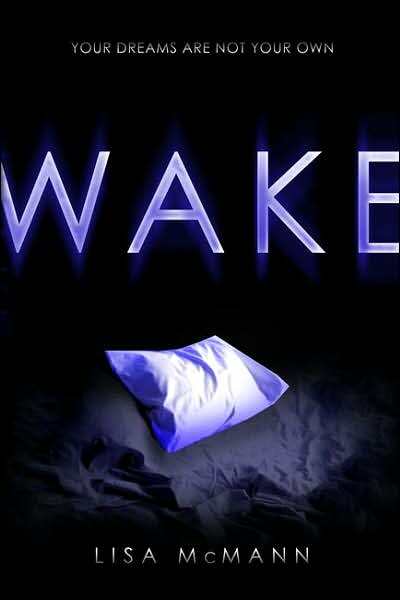 Paramount and MTV Films have picked up the film rights to the WAKE trilogy, with Christopher Landon (Disturbia) writing/directing. Miley Cyrus is considering the lead role. As you know, even with people and studios attached, it takes a lot for a movie to actually happen, so there are no guarantees it'll get made. But I'm crossing my fingers. As soon as I have more information, I will let you know. Read all the details at the link above! What do you think? Have you read the Wake trilogy? I read Wake and Fade, but still have to read Gone. Anyway, I'm not a big fan of Miley Cyrus, and you? Ari Mitchell feels invisible at her Brooklyn high school. Her hair is too flat, her style too preppy, and her personality too quiet. 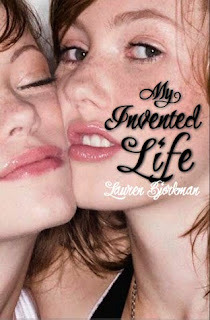 And outside school, Ari feels outshined by her beautiful, confident best friend, Summer. Their friendship is as complex and confusing as Ari’s relationship with her troubled older sister, Evelyn, a former teenage mom whose handsome firefighter husband fills Ari’s head with guilty fantasies. 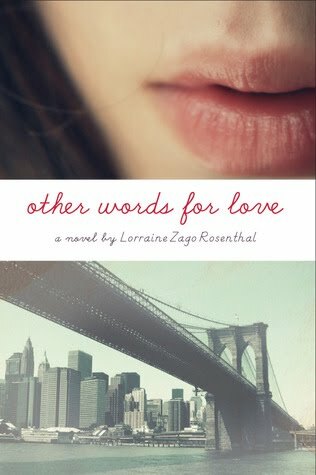 When an unexpected inheritance enables Ari to transfer to an elite Manhattan prep school, she makes a wealthy new friend, Leigh. Leigh introduces Ari to the glamorous side of New York—and to her gorgeous cousin, Blake. Ari doesn't think she stands a chance, but amazingly, Blake asks her out. As their romance heats up, they find themselves involved in an intense, consuming relationship. Ari’s family worries that she is losing touch with the important things in life, like family, hard work, and planning for the future. Meanwhile, Summer warns her that what she feels for Blake is just an infatuation. Not real love. But Ari’s world is awash with new colors, filled with a freshness and an excitement she hasn’t felt in years. When misfortune befalls Blake’s family, he pulls away, and Ari's world drains of color. As she struggles to get over the breakup, Ari must finally ask herself: were their feelings true love . . . or something else? I'd like to thank Beth @ Maybe Tomorrow? because she gave me this lovely award and also was my first follower! 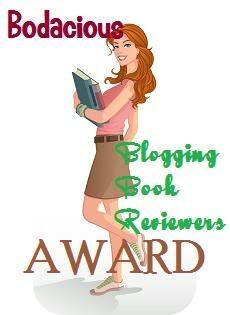 And big thanks to Tammy at The Book Fairy's Haven because she nominated me for this fabulous blogging award! If you are given this award you must first accept it by leaving a comment on the post you were nominated on. Then copy and paste the post and add it to your own blog. Make a list of the last 5 books you read and pass the award on to 5 other bloggers (no backsies!). 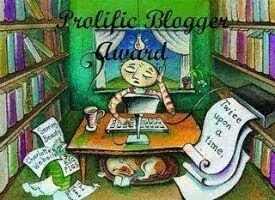 Please also identify the blog from which you got the award and don’t forget to tell your picks that they have a blog award! Bloggiesta is done! *phew* I'm tired...but happy. Number of hours spent on the challenge: 16 hours. - Write reviews: HALF DONE! 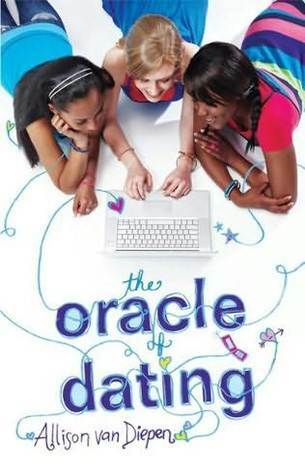 / I was going to write 4 reviews, but just manage to write 2: The Oracle of Dating by Allison van Diepen and My Invented Life by Lauren Bjorkman. - Organizing my TBR pile: DONE! Now I have an order to read the books that have been waiting for me in my bookshelf...not just grab anything and read it! - Write 5 "Waiting on Wednesday" posts: DONE! - Create 10 template posts for my future reads: DONE! - Create a Google Doc of cheat sheets: DONE! - Add/Edit my about me and review policy page (Mini-Challenge: Your Review Policy): DONE! I edit my Review Policy page, and now its much better! Also I added an About page. - Grade my blog: DONE! 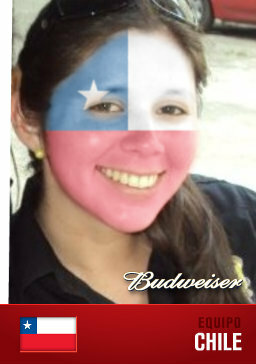 Before Bloggiesta, I graded my blog at Website Grader and my result was 56/100. I wasn't happy at all. After Bloggiesta, my grade is 75! Yay! Definitely an improvement! - Updating my social network profiles: DONE! I wasn't a lot of work really. Just took me some minutes. - Clean up my feedreader: FAIL! My feedreader is a disaster. It was the first time I tried to clean it up, but I'm starting to believe its impossible. I spent 1 hour doing it and I don't think I did more than 5%!. This was my first Bloggiesta and I loved to participate! It was an excellent way to improve my blog and met new bloggers! Thanks PEDRO! Release Date: September 29th, 2009. With Roz and Eva everything becomes a contest—who can snag the best role in the school play, have the cutest boyfriend, pull off the craziest prank. Still, they’re as close as sisters can be. Until Eva deletes Roz from her life like so much junk e-mail for no reason that Roz understands. Now Eva hangs out with the annoyingly petite cheerleaders, and Roz fantasizes about slipping bovine growth hormone into their Gatorade. Roz has a suspicion about Eva. In turn, Eva taunts Roz with a dare, which leads to an act of total insanity. 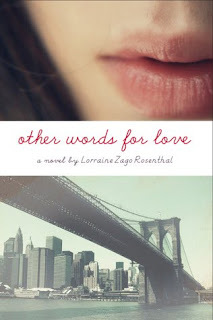 Drama geeks clamor for attention, Shakespearean insults fly, and Roz steals the show in Lauren Bjorkman’s hilarious debut novel. Wow. I didn't know what to expect from this book, but it was a nice surprise. Roz is crazy, but I like her. With a weird personality; she is just another teenager growing up and trying to look for her real self. She definitely needs someone taking care of her, but her parents are very occupied with Eva, the perfect daughter, and she doesn't really have friends. I understand her way of acting, and why its so important for her not to loose Eva's friendship. When Roz started to have suspicions about Eva's sexuality, instead of leaving her along, she starts to act as a lesbian to give Eva security about her sexuality. What she didn't expected was that while doing that, she was going to start exploring herself, thinking about how it will feel to be with a girl. Is it different? Will she like it? Does it matter?. Roz actually steals the show. She is very unique and I had fun reading her. Actually, I couldn't stop reading! She made me laugh every time she answered things as: "my father is not prostitute". She has becomes one of my favorite characters. The other characters (Eva, and their friends) are very real and well done too. Sometimes mean, but exactly as teenagers are. And it helped a lot that the writing was awesome too. It was fluid, light, exactly as any teenager will think/speak. It amazed me. Its a light reading, but brutally honest. Sexuality and acceptance are the main themes of this book, and I believe the author manages them perfectly. Filled with teen-age drama, but also humor, I enjoyed it very much (but maybe not everyone will). I don't have issues reading GLBT literature, but if you don't feel confortable with this, then don't read it. Also, I think the cover is great. Very eye-catching, and it feels perfect for this book. Excellent picture. I received this book through International Book Tours. I loved The Oracle of Dating. 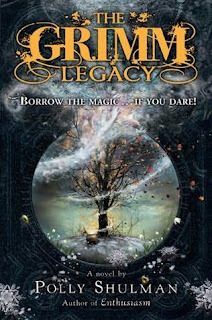 I thought is was middle grade because of the cover, but its actually young-adult. I read it very quickly. Kayla is a great girl, very real and sweet to listen. She could be my best friend. She is funny, honest, girly, intelligent and cool, and behaves exactly as I did when I was her age. Kayla's blog is excellent. She loves to blog, its practically her life. And her advices are very useful, for all ages, and everyone can learn from them. Jared is the cute boy. He is cool, mysterious, and respect girls. The romance between them its very innocent and develops slowly, and they are a great couple. But I felt as if they wouldn't last together because he is a senior. Her friends are also very cool. Not the kind of friends you wish the protagonist didn't have, but funny, not-bothering, not-stupid, real friends. I wish I had friends like that when I was a teenager! I really liked the writing. It was easy to read, light, and I couldn't stop until I finished. I laughed a lot, and in the end, I wanted to read more. Obviously I will read the next one, The Oracle of Rebounds (November 01, 2010), to see what happens between Kayla and Jared.. Funny, cute and very girly light read. 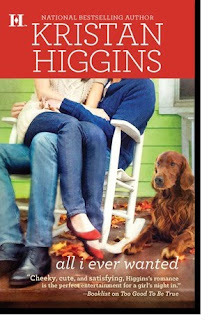 Excellent choice if you like Chick-Lit. 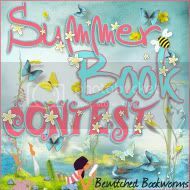 More about this book at www.allisonvandiepen.com, Goodreads, Amazon, Barnes & Noble, The Book Depository. Write 5 "Waiting on Wednesday" posts. Create 10 template posts for my future reads (ie: title, images, linking, tags, etc). Create a text file (or Google Doc) of cheat sheets (html codes, post url’s, etc). Improve your blog template, clean up sidebars, add a favicon, install plugins. Make buttons for my blog. Add/Edit my about me and review policy page (Mini-Challenge: Your Review Policy). Updating my social network profiles. Clean up my feedreader: go through my subscriptions and unsubscribe from blogs I don’t read anymore. * ABC: Done before bloggiesta. I think that's all. I'll try to complete everything, but with the FIFA worldcup 2010 starting at the same time, I'm not sure...Anyway, Wish me luck!